Founded in 1834, the Chartered Institute of Building is the world's largest and most influential professional body for construction management and leadership. It has a Royal Charter to promote the science and practice of building and construction for the benefit of society. CIOB members work worldwide in the development, conservation and improvement of the built environment. The CIOB accredits university degrees, educational courses and training and its professional and vocational qualifications are a mark of the highest levels of competence and professionalism. Click through to the CIOB website. The CIOB has been a leader in the discipline of construction management for nearly 200 years. Download the booklet to see more. 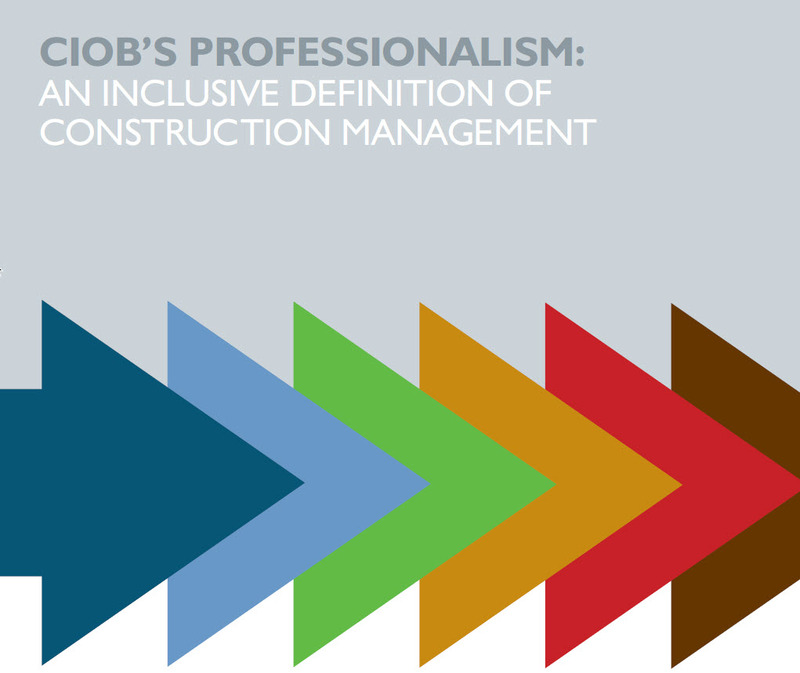 The CIOB's definition of construction management is comprehensive. Download the full definition. Patrick is a member of the CIOB time Management working group. Between 2008 and 2010, the group was responsible for developing and publishing the CIOB Guide to Good Practice in the Management of Time in Complex Projects (published December 2010). He is currently part of the team working the update due for publication in 2018. To allow the innovations in The Guide to be used effectively, CIOB have also developing a new construction contract, its first major contract form in 140 years.The new Complex Projects Contract which puts time management at its heart can be used with, or without, Building Information Modelling (BIM) and has been drafted to work within any country and legal jurisdiction around the world. See more on the CIOB Contract. Patrick delivered a number of presentations in the Asia Pacific region outlining these developments - Download the presentation. The CIOB Members Forum is the link between the Trustees and the membership with a central role in the governance and development of CIOB internationally. The full Members Forum meets at least annually and members of the forum from geographic regions (Time Zones) meet more frequently to further the initiatives of the organisation. Patrick was one of the Asia-Pacific representative to the Forum (2009-2013), was the Time Zone Chair for 2010 and 2011, and the Forum's nominee to the CIOB Nominations Committee responsible for managing the election and selection of Trustees (2010 to 2013). For the first time in its history the Chartered Institute of Building (CIOB) held its 2010 Annual General Meeting (AGM) outside of the UK. Patrick was invited to participate in the CIOB International Construction Conference 2010 held in conjunction with the 2010 Members Forum and AGM. 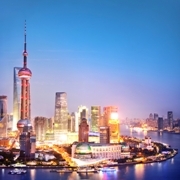 Against the backdrop of the Shanghai World Expo 2010, CIOB designed a week of events from the 27th June to 2nd July 2010 to create the opportunity for members from different countries to build links with each other through a series of meetings, site visits and the AGM. For comments on the meetings and World Expo see our Blog at: http://mosaicprojects.wordpress.com/category/ciob/. Continuing the internationalisation, the 2012 meeting was held in Dublin to celebrate 50 years of service to the Irish construction industry. The Member's Forum has been central to the CIOB's transition from a UK based organisation with overseas interests to an International organisation based in the UK. In the 1990s, CIOB decided international growth was core to its development and set up the International Board in the early part of the 2000s. The International Time Zones were created in 2007 and in 2011 the distinction between ‘international’ and ‘UK & Ireland’ Time Zones was removed. Since 2012 CIOB has moved forward as a single international body and I'm delighted to have been part of this organisational transformation. 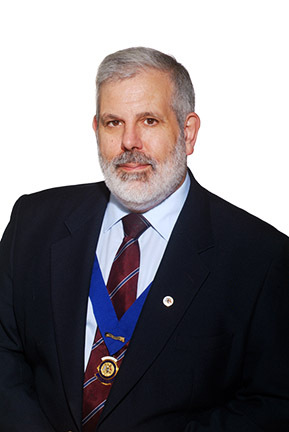 Patrick Weaver FCIOB, was the regional president of the Chartered Institute of Building Australasia from May 2006 to May 2008 and Immediate Past President Australasia for 2008/2009. He has been a CIOB member since joining as a student in 1971, was Victorian Committee Chair from the formation of CIOBA in 2003 to 2004, and 2008 to 2010 and Vice President in 2005. Currently he is involved in a number of CIOB initiatives. 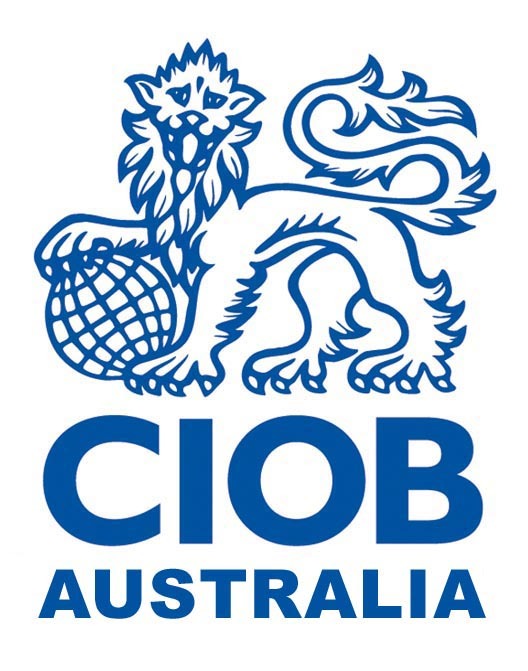 CIOB Australasia is part of CIOB International network of CIOB Hubs including CIOB China, CIOB Hong Kong, CIOB Malaysia, CIOB Singapore and CIOB Africa. CIOB Australasia plays an active role in promoting professionalism and innovative thinking in the construction industry throughout its region with members located around the Australian continent as well as in New Zealand and the South Pacific. Since its launch, CIOB Australasia has played an important role in the region by organising events and seminars relevant to the industry and established close links with Universities, construction professionals, academics and government bodies. Empowering members in the various Centres to grow and develop CIOBA in their State or Country. The first and biggest Centre remains Sydney, other locations include Brisbane, Auckland, Melbourne and Perth. Continue to provide a high quality of member services in each of the Centres including events, newsletters and networking opportunities; joining wherever possible with kindred organisations. Drive for growth including a new focus on Universities and student members (as a foundation for the future) and maintaining our existing efforts to attract corporate and professional members. Business systems: CIOBA spans one sixth of the world’s time zones; there is a 4 hour time difference between New Zealand and Perth (not to mention the 3315 miles or 5334 km)! Dealing with these distances requires effective virtual and networked systems to provide equality of support to all of the Region’s members and Centres. The focus of his second year was to build on the momentum from 2006 and consolidate active centre committees in the existing locations and potentially expand into new areas such as Newcastle, Canberra, Adelaide and Wellington (subject to local members being willing and able to establish centre committees). The formal recognition of Universities that deliver accredited courses (in Australia accredited by AIB). Continuing the development of business management systems appropriate for a diverse region, including supporting the work undertaken by CIOB’s overseas management leading to improved budgeting, finance and administrative support from ‘head office’. Establishing a permanent administrative office in Sydney for the region. Working on completing the CIOBA constitution update. Working towards resolving the differences between the UK and Australian education systems to allow CIOB qualifications and training to be recognised in Australasia. Reducing CIOBA's dependence on the financial subsidy from CIOB, working towards achieving a positive cash flow within a few years. At the international level, Patrick was actively involved in the CIOB Governance review. This review resulted in the abolition of the International Board and the creation of a new body, the 'Members Forum' that takes on some of the roles of the old CIOB Council and some of the roles of the International Board. The forum has a representative of every CIOB region as a member plus a number of appointees and is charged with developing the ideas needed to keep CIOB growing and relevant in the years ahead, as well as providing a forum for internal discussion and review. The full forum will meet regularly and the regional components of the forum (Time Zones) meet ‘locally’ twice a year. CIOBA's ‘local’ area is ‘East Asia and the Pacific’. Patrick attended the first local meeting, held in Kuala Lumpur on the 19th May 2007 and remains committed to the development of CIOB and the profession of construction management.